I’m a passionate knitter and budding knitwear designer from Austria. I love quick & easy projects. In my designs, I like combining colors and textures with unusual construction methods to create colorful, practical and fun knitwear. 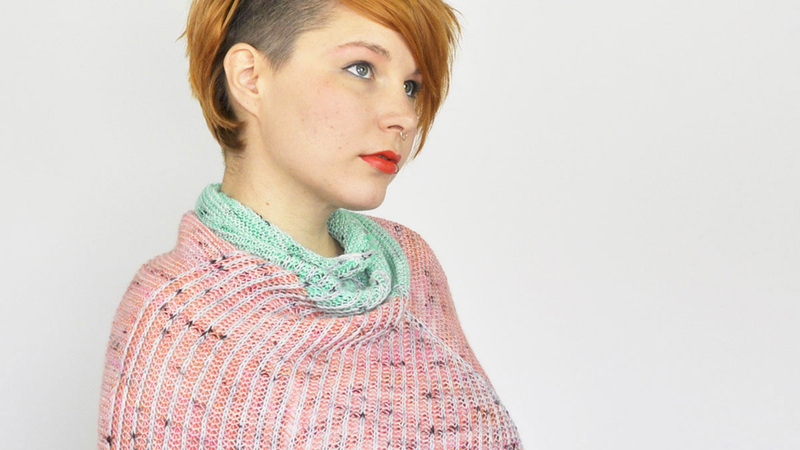 Join my Ravelry Group designs by Susanne Sommer for a sneak peek at new designs, discussion, support, and pattern testing! Apart from knitting, I’m interested in the whole process from sheep or plant to the finished object – spinning and (natural) dyeing included. Other interests of mine include graphic design and cooking and baking. I’m vegan (well, apart from all that wool I knit with) and I love to try out new recipes – and restaurants! I live in the countryside & I love being surrounded by nature, having lots of space to really breath and having an organic veggie garden! I love traveling – especially for knitting! – and I enjoy frequent trips to Vienna with my sister.